Doosan is a manufacturer of CNC machine tools used to produce high precision parts. I was asked to design a series of t-shirts for Doosan’s customers. Doosan wanted machinists to be proud to wear their brand both in and outside of the shop. They were looking for graphics that connect with their customers’ interests. To do this, we referenced vintage custom car culture and illustrators like Ed Roth and Von Dutch. 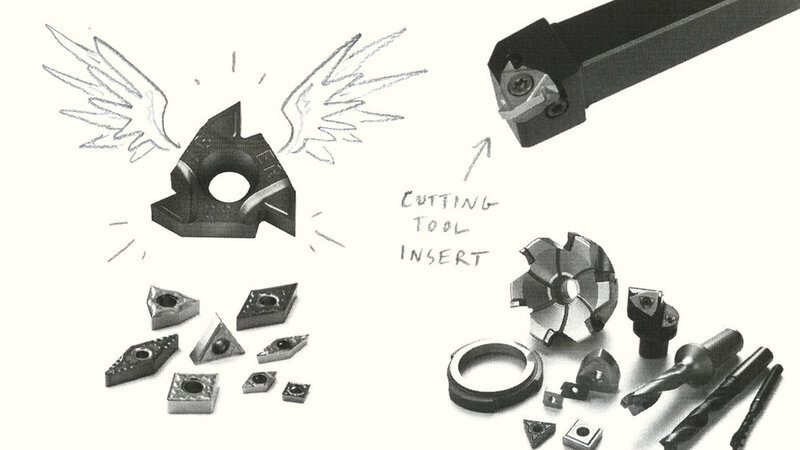 To find inspiration for the t-shirt designs, I looked at tools that were regularly used by machinists. 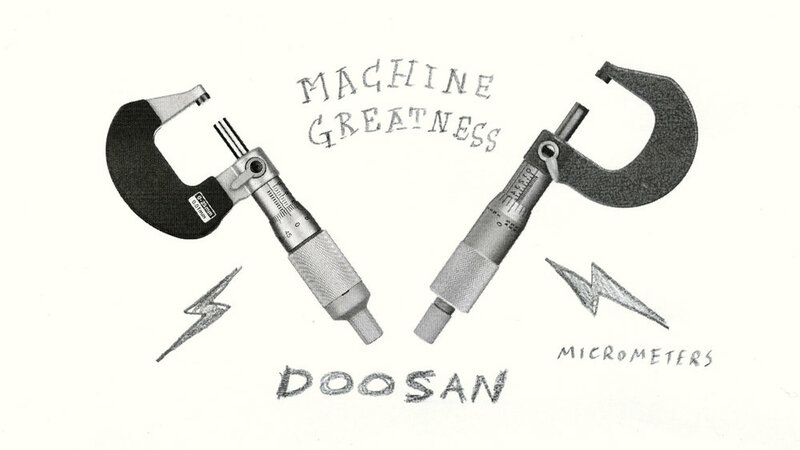 Because Doosan prides itself on precision and production speed, I decided to illustrate micrometers for one design and a cutting tool insert for the other, both of which are immediately recognized by the Doosan customer.